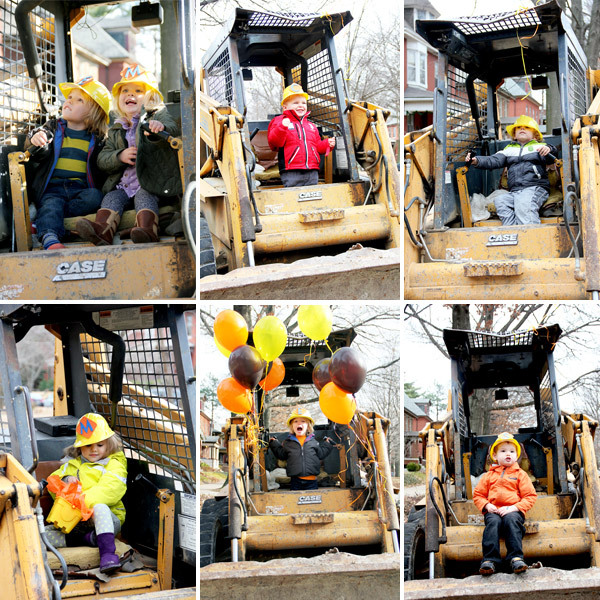 Listen to a group of 5-year-old boys for long enough, and you’re likely to hear the thrill of a spotted construction vehicle on its way to a site. 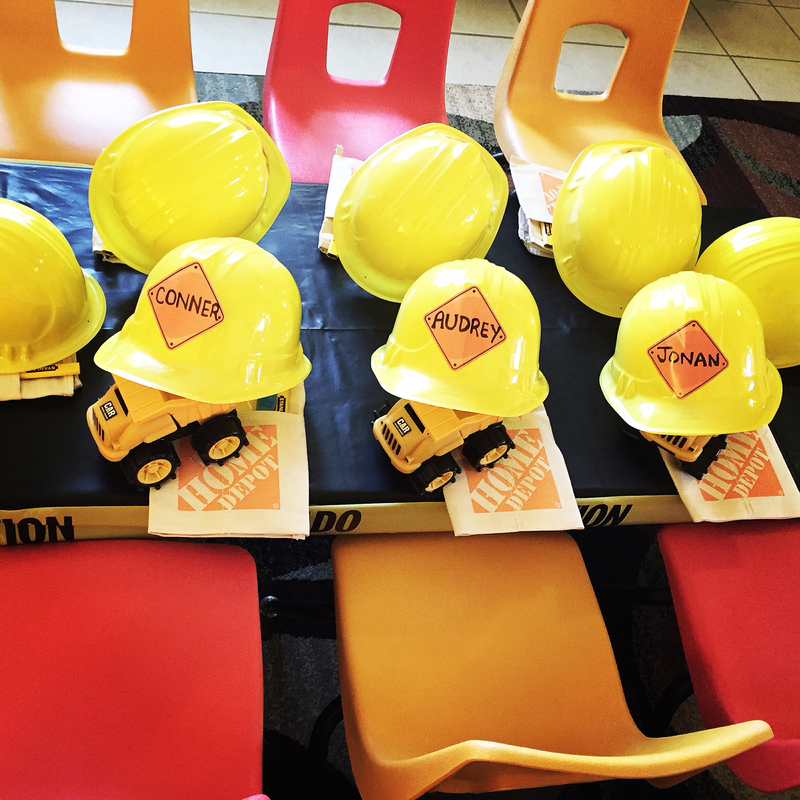 For a kid’s birthday party, few themes are more important in the mind of a little boy than construction. Here are a few ways to make the party theme come alive. Welcome to the world’s one construction site that kids can venture into. Here, the more dirt and debris, the better. 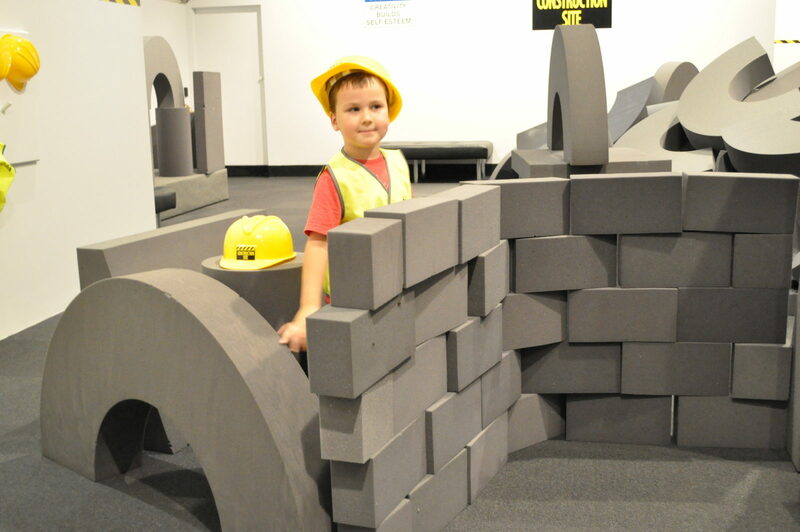 Give your little guests a chance to create (and destroy) with activity areas like giant building blocks (painted cardboard boxes) and digging pits filled with sand or foam. Add a few ramps and wheeled vehicles, and you’ll have the world’s most exciting construction site right in your backyard. 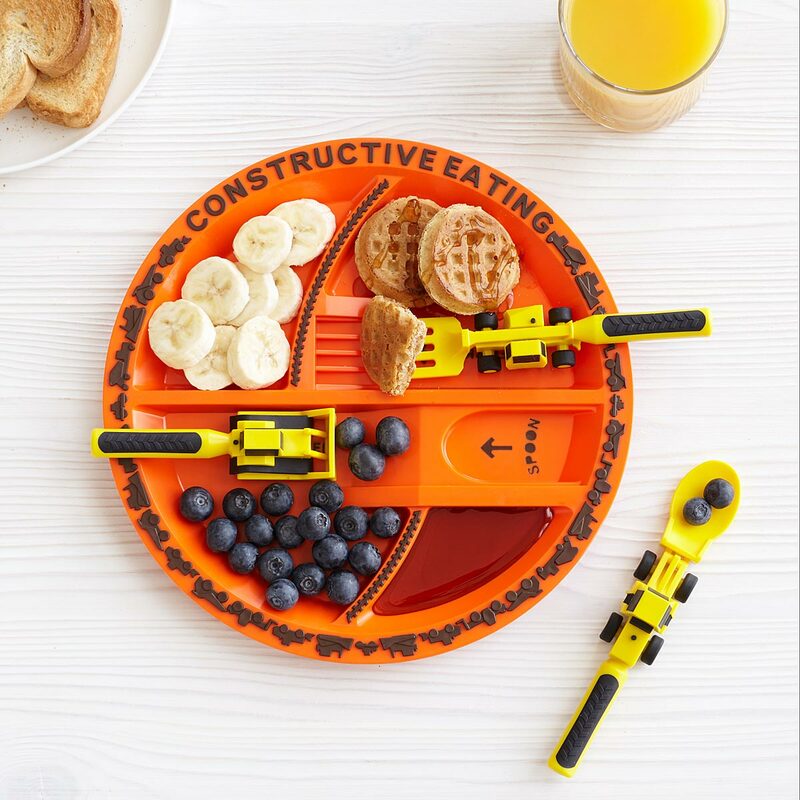 At mealtime, the construction doesn’t end. Give guests tool-shaped utensil to scoop, shovel, and push from Uncommon Goods, or create your own with plastic utensils and a bit of imagination. With the appropriate adult supervision and a bit of planning, your party will turn into a full-fledged building site. Whether building a playhouse or a doghouse, the pride your guests feel at the end of their work will match the delight you feel for having a life-sized keepsake from your party. There’s one way to make sure your party is the talk of the lunchroom table for the week to come: bring in tools. BIG tools. REAL and BIG tools. A Bobcat may not sound like a realistic party feature, but they can actually be rented fairly reasonably, or borrowed from a friend or neighbor. Then turn off the ignition, pocket the key, and set up one heck of a photo op. 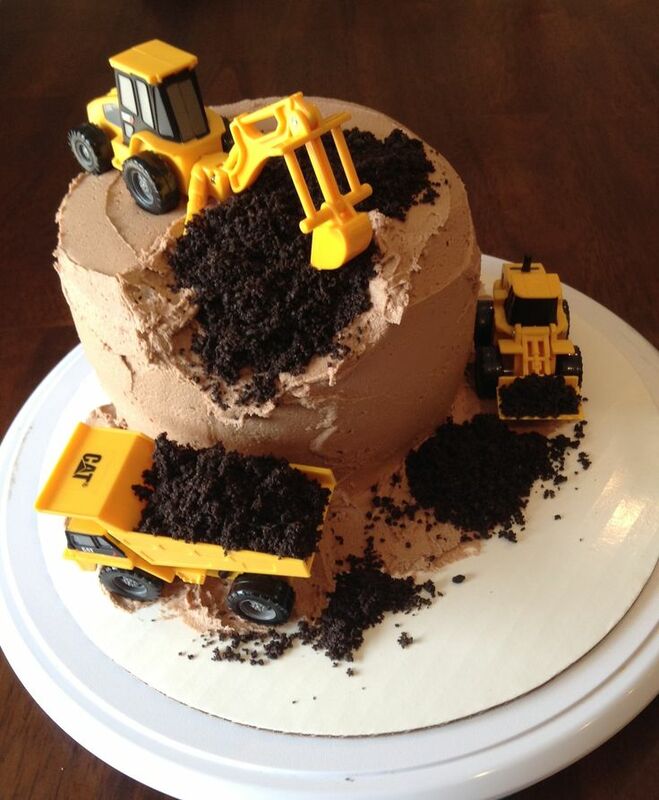 Time to dig in the dirt (cake). What 6-year-old wouldn’t love to destroy a giant chocolate cake, then eat its torn apart pieces? Make a large, rustic chocolate cake and display it prominently in the middle of a low, stable table. At dessert time, unveil small shovels and let the kids dig in. Hard hats, fluorescent vests, and tool sets have never seen more excited recipients that your partygoers. 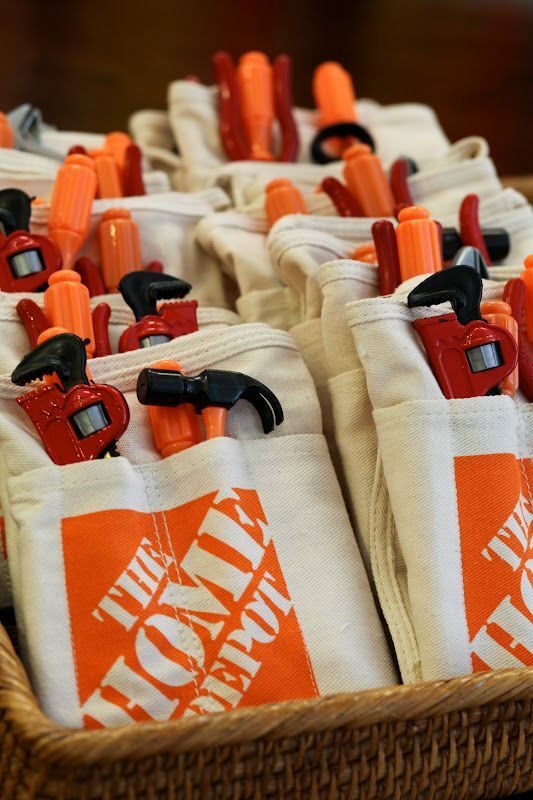 Stores like Home Depot are great places to go for affordable tools and supplies.